Crime fighters in Diepsloot have a new weapon in their arsenal in the form of technologies to ensure better crime reporting and faster response times. Police on Wednesday announced a project with security company Memeza, which entails providing alarm systems directly linked to police stations, to Diepsloot households. When the system is triggered via a motion detector or panic button, it sends an SMS to the local police station and makes a call to the owner. 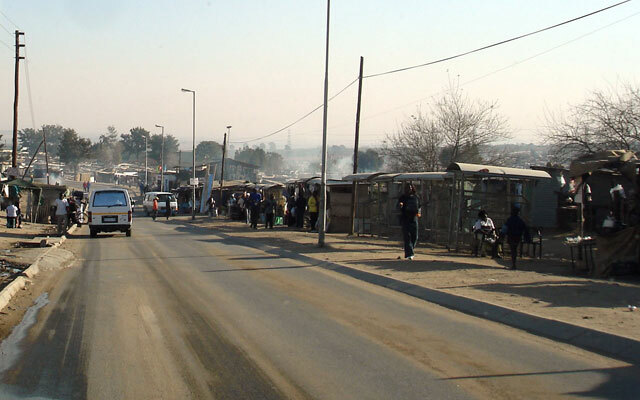 Diepsloot station commander Brigadier Koena Moichela said in a statement that the initiative had resulted in a meaningful drop in crime and improved the relationship between residents and police. In addition, a service called Namola allows people to instantly call police via an app on a smartphone. Based on GPS location data, the application does not require the user to talk to the control centre. Tshwane metro police had implemented Namola to improve response times. The application was created by non-profit organisation Happimo, which develops “socially uplifting mobile apps”, according to Namola’s website. Dubbed an “Uber for police”, users in Tshwane had seen dispatch times drop from two minutes to around 15 seconds. According to the most recent national crime statistics, cases of murder declined by 9,2% in Diepsloot, sexual offences declined by 26,4% and attempted murder increased by 16,5%. “This pilot makes Namola more accessible to communities where smartphone penetration is low, but feature phones are everywhere,” said Namola’s Katekani Baloyi. Responding officers have tablets in their cars that inform them of the location of the emergency and which are monitored from a control room. If a false alarm is detected, police can be notified, or more vehicles dispatched if the situation warrants a stronger response. Memeza CEO Thuli Mthethwa said the use of the technology would help police and metro police curb crime. Very cool. It’s great to see tech make a real difference.